El Nino period for 2016 has been very challenging for the National government as more emphaize and effort has put into continous response to several humanitarian needs through -out the country . More effort was place on adressing the water shortage issues and logistical support to affected areas . National Disaster Managment Office in collaboration with WASH cluster have purchased large quantity of polytanks for temporary measures to address the water shortage issue across the affected islands through out the selected provinces in particular Penama,Tafea,Malampa and Shefa . 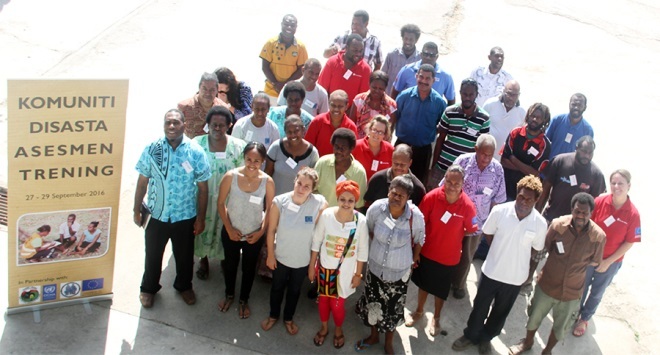 Understand roles and responsibilities in collecting, consolidating, analysing and reporting on community assessment information during times of disaster at community and provincial levels. 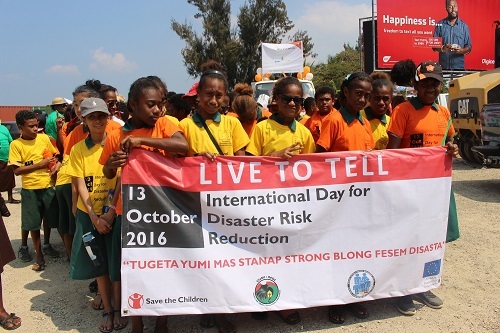 International DRR Day is held across the globe every year on the 13th October, to ensure we celebrate how people and communities are reducing their exposure to disasters and raising awareness about the importance of reducing in the risks that they face. As Vanuatu is ranked one of the most vulnerable countries in the world to natural hazards we have a responsibility to ensure that as a community and as a nation we understand our dangers and how best we can prepare for them to reduce the negative impacts caused by disasters.